WASHINGTON — With NASA committed to a human return to the moon, Mars exploration advocates say those lunar missions can be useful to achieve their long-term goals, if designed properly. 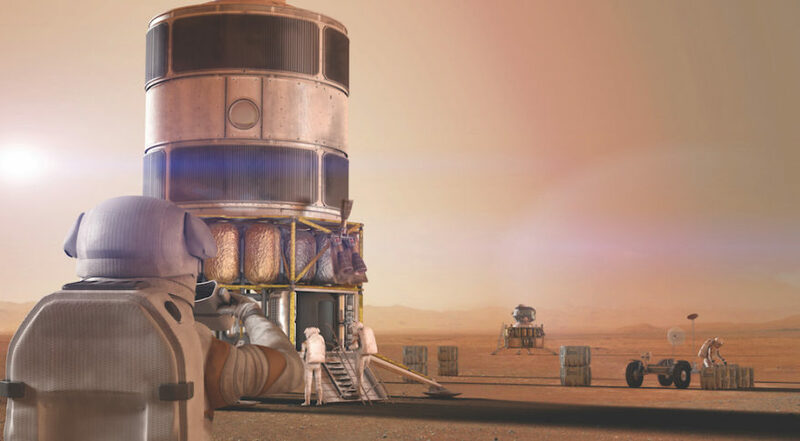 Many supporters of human missions to Mars had warned against spending resources on a human return to the moon, fearing that lunar surface expeditions would consume significant resources and delay exploration of Mars. Prior to the current administration’s Space Policy Directive 1, NASA’s “Journey to Mars” plans largely avoided the lunar surface, focusing instead on activities in cislunar space as a testing ground for Mars expeditions in the 2030s. Under SPD-1, though, NASA is now committing to a presence, potentially for the long term, on the lunar surface. The agency is beginning studies of lunar lander designs, including large “human-class” landers needed for human missions to the lunar surface by the end of the next decade, in addition to the development of the Gateway facility that will operate in lunar orbit. At a panel discussion Nov. 13 at the National Press Club here to discuss a 25-year timeline for getting humans to Mars, supporters of human missions to Mars now say that those lunar missions could help retire some of the technology risks associated with later Mars missions. “I was actually skeptical of it, but there are significant crossovers,” said Rick Davis, assistant director for science and exploration in NASA’s Science Mission Directorate. Those lunar missions, he said, could address some of the technological challenges or “long poles” for Mars, from power systems to habitats. “You can buy down a lot of those long poles in a lunar campaign and get us to Mars much sooner than most people would probably think,” he said. One example he cited is the development of rovers. While a lunar rover and a Martian rover would not be identical, they are similar “at the 70 or 80 percent mark,” he said. “That is massive, and that is how you buy this down and make it possible.” He noted, though, there are exceptions: the entry, descent and landing systems needed for Mars missions can’t be effectively tested on the moon given the moon’s lack of an atmosphere. Garvin offered another example of how lunar missions could support later Mars exploration by arguing that, if resources like water ice can be extracted and used on the moon it will be even easier to do so on Mars. “I think the moon is linked to Mars,” he said. Davis emphasized the need for an “integrated” program that kept in mind the needs for later Mars missions while planning lunar missions. “We believe there are significant gains to be had, but you’ve got to manage it, because otherwise you can get bogged down and not press on to Mars,” he said.